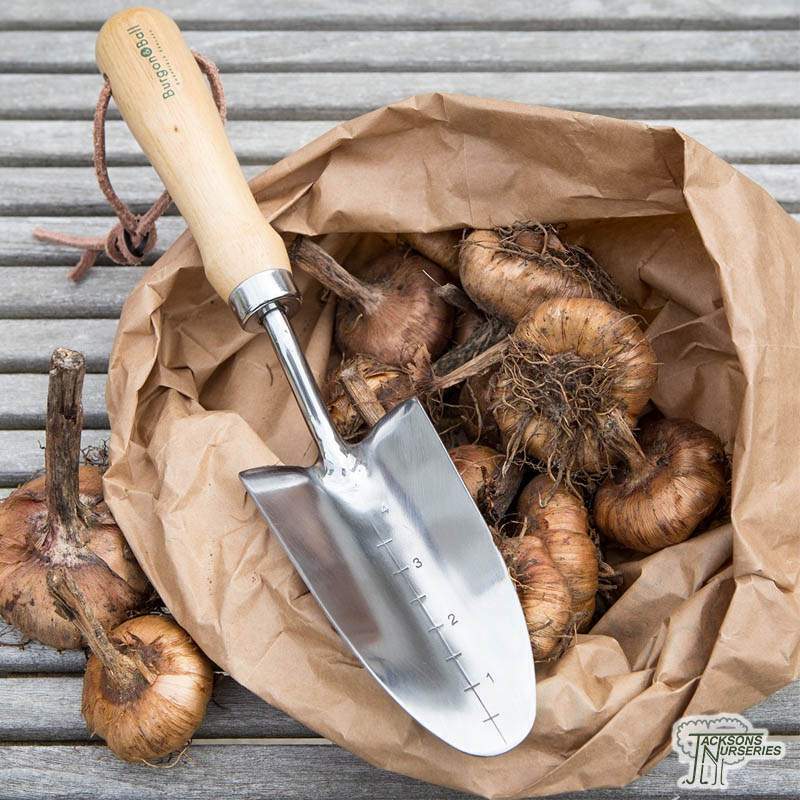 More slender than a classic stainless steel garden trowel, this transplanter is ideal for working among densely-planted borders. The face is engraved with depth markings in inches so you know exactly how deep you're planting - especially useful for planting bulbs. The polished stainless steel finish is highly resistant to rust, so it'll stay beautiful for years to come.